Carters Automotive and Transmission | Serving Austin for 60 Years! Serving Austin for 60 Years! WELL spring is almost here and the temperature is rising which means it’s AC season. If you live in Texas you can’t live w/o your car AC working properly. Almost all of the calls we receive are the same, “my AC was marginal for the summer but I haven’t needed it again until now”. Translated, it was going out last year and has finally failed. 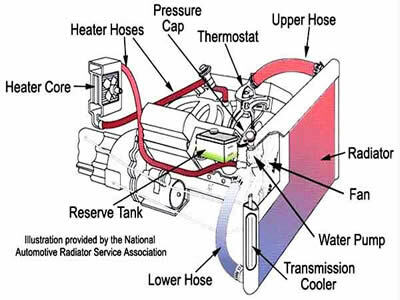 Usually it is due to a leak in the system which means a major repair is necessary but there are several reasons the AC system won’t function properly: 1) inadequate air flow over the condensor-could be dirt/debre pluging it, a relay or blown fuse, or a bad fan motor, 2) switches or sensors or 3) inside control has failed. These are usually easy repairs and therefore inexpensive. 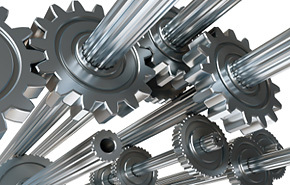 At CARTERS TRANSMISSIONS AND AIRCONDITIONING REPAIR WE OFFER FREE ESTIMATES PEFORMED BY HIGHLY SKILLED PROFESSIONALS. WE HAVE BEEN SERVICING CENTRAL AUSTIN FOR MORE THAT 50 YEARS. PLEASE GIVE US A CALL. WELL, it’s a new month and it seems like our most asked questions are about the CHECK ENGINE LIGHT. It may sound odd until you put 2 & 2 together and realize that it is due to state inspection. Austin is designated “clean” emissions city and as such you won’t get your vehicle inspected w/ that menacing “CHECK ENGINE LIGHT” on. Since 1996 the Feds have required all manufactures to use a 2 generation onboard diagnostic system, OBDll, which monitors many different sensors and systems. Sadly, this single light can be triggered by HUNDREDS of different reasons and usually involves lots of time to diagnose and repair. This means money and sadly if not done correctly means more money. That is why any consumer should be cautious where they go to have this type of repair done. CARTERS TRANSMISSION REPAIR AND AUTOMOTIVE HAS BEEN REPAIRING AUTOMOBILES FOR MORE THAN 50 YEARS, You could say we grew up before the car had a computer. There is no substitute for experience. 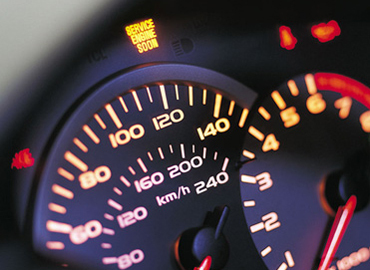 Give us a call for a free estimate on your “CHECK ENGINE LIGHT” problem. NORTH @ 512-748-5099 OR SOUTH @ 512-748-7528. My father used to tell his customers that “…if you treat you car right for the 1st 100,000 miles it will return the favor for the 2nd 100,000”. It was true then and it’s true now. Maintenance and transmission repair is the most important area the owner has control of over his vehicle. Most of our customers know about changing the engine oil. Most know about there tires but their knowledge of their transmission is nearly 0. Transmission servicing is becoming more critical and the units become more complicated. A modern transmission can have eight forward speeds, a dedicated computer, dozens of sensors, and be interconnected to the braking system, the traction control system, and the steering system. All this in an effort to increase “efficiency” by 1%. Lost in all this high tech engineering is the need to keep the transmission fluid clean. When a transmission is serviced only some of the fluid is replaced w/ new. That’s correct, the only time a transmission has 100% new fluid is when it is brand new or being replace, otherwise we are “blending” a portion of new fluid (20% to 50%) w/ the old fluid. If we wait to long the service it then the “blended” result is poor. This is even more critical when our customer learns that his vehicle’s transmission filter is NOT servicable. That’s right, some manufactures starting in the 1980’s placed the transmission filter inside the transmission in such a manor that the transmission has to be removed & disassembled just to replace a $5.00 filter. Brilliant, just brilliant. you don’t want to get behind the maintenance curve on these units.